Bea Arthur was a champion for the homeless LGBT youth of the Ali Forney Center. In 2005 she performed a one-woman show as a benefit, saying that she would do anything she could to help teens who were kicked out of their homes for being LGBT. In 2009, when Bea passed away, the Ali Forney Center learned that she had bequeathed $300K to them in her estate. At that time AFC Executive Director pledged that the first building AFC owned would be named in honor of Bea Arthur. Now that dream is about to become a reality. 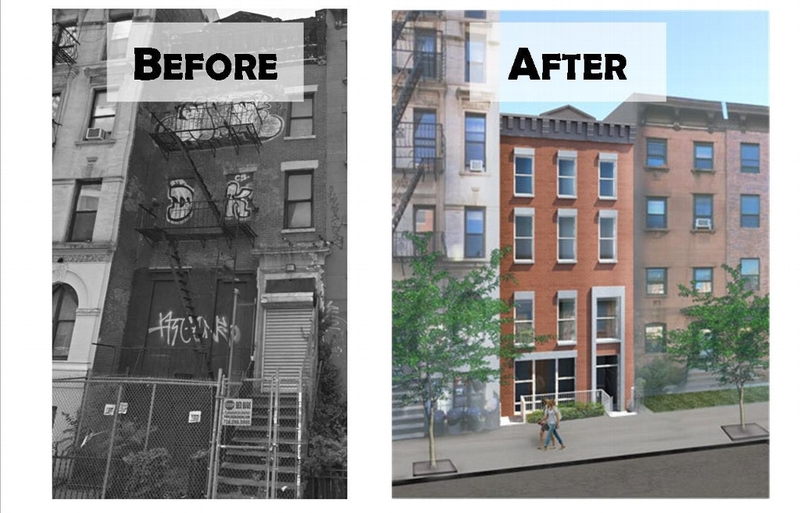 In 2012, the City of New York turned over a long-abandoned building to the Ali Forney Center, and with generous funding from the New York City Council, and the Manhattan Borough President, AFC, in partnership with the Cooper Square Committee, undertook a renovation to transform the building into the Bea Arthur Residence, an 18 bed long term housing facility for homeless LGBT youth. The Bea Arthur Fund will help support the operational costs of the Bea Arthur Residence, and assist AFC in acquiring additional sites to provide urgently needed housing. Currently there are over 200 homeless LGBT youth on the waiting list for AFC's housing. Bea Arthur said that she supported the Ali Forney Center because it saves lives. Please help continue Bea's legacy of love and support for homeless LGBT youth. Because everyone deserves to be loved, and everyone needs a home. AFC currently has 12 housing sites that are funded in part by city, state and federal agencies, however these agencies do not cover 100% of the costs associated with operating our housing programs, as a result AFC's relies on donations from individuals, foundations and corporations to help us cover the unmet costs. For $250,000 your legacy and support of the Ali Forney Center will be part of the Bea Arthur Residence for years to come in the form of a floor named in your honor. For $100,000 your legacy and support of the Ali Forney Center will be part of the Bea Arthur Residence for years to come in the form of the courtyard named in your honor. For $75,000 your legacy and support of the Ali Forney Center will be part of the Bea Arthur Residence for years to come in the form of a fountain named in your honor. For $50,000 your legacy and support of the Ali Forney Center will be part of the Bea Arthur Residence for years to come in the form of a room named in your honor. For $25,000 your legacy and support of the Ali Forney Center will be part of the Bea Arthur Residence for years to come in the form of a bench named in your honor. For $5,000 your legacy and support of the Ali Forney Center will be part of the Bea Arthur Residence for years to come in the form of a brick named in your honor.